Bears Ears: These lands are ours. They don’t need more mines. Bears Ears National Monument isn’t just a place — it’s an integral part of the American story. Your messages really do make a difference. Bears Ears — and its wildlife — must be protected. Please sign our petition to the Trump Administration opposing destructive mining, drilling, logging and other harmful exploitation of these irreplaceable public lands. Now we need your help to shut down another ill-conceived scheme to sacrifice our public lands for short-term private profits. Your signature today will demonstrate public support for special places like Bears Ears — and, so far, this support has been the best defense against the loss of America’s natural treasures. Unfortunately, we don’t have much time to make our voices heard. Last year, the Administration shrank the overall size of the monument by 85 percent.4 Now the Bureau of Land Management has scheduled a lease sale for the right to drill, mine, and otherwise develop lands once protected within the boundaries of the now greatly diminished Bears Ears National Monument. Speak out for Bears Ears. Speak out for public lands. 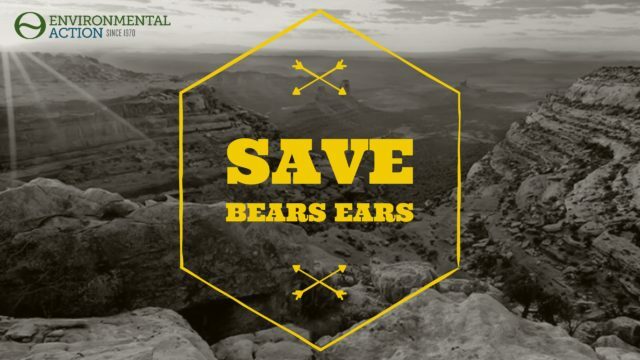 Please sign this urgent petition for Bears Ears right now. 1. Carolyn Gramling, “Science and politics collide over Bears Ears and other national monuments,” Science, April 27, 2017. 2. Michael Coleman, “Zinke Cancels Chaco Canyon Lease Sale,” Albuquerque Journal, March 1, 2018. 3. Valerie Volcovici, “U.S. Interior chief holds off on federal oil lease sale after outcry,” Reuters, March 5, 2018. 4. Juliet Eilperin, “Trump to cut Bears Ears National Monument by 85 percent, Grand Staircase-Escalante by half, documents show,” The Washington Post, November 30, 2017.